Tuesday. We've made it successfully into the week and we can really get things going. Thankfully, I no longer feel like my eyes are glued shut, so that's nice. Though, even if they were, I could still listen to some gaming podcasts (assuming I could see well enough to navigate to the site to begin with). Today on the dial we have: Lords of the Dungeon Episode 26: Mutants and Masterminds, Fallout and Using Discord for Our Campaign; Singled Out Episode 87: Discussing Season 4 Engineers with David Cameron and Pash; Tabletop Talk Episode 16: Dashel Barker (Guild) in Malifaux 3rd Edition; Tabletop Talk Episode 17: Talking Malifaux 3e and the UK Competitive Scene with James Doxey; and Rolling Dice & Taking Names: Episode 168: Lord of the Rings: Journeys in Middle-Earth, Evolution, Oceans, Castle of Burgundy Dice Game. Tuesday. We've made it firmly into the work week. Just gotta keep moving forward and we'll once more get back to the weekend. I know I'll be ready for it. To help speed things along, let's listen to some gaming podcasts, shall we? 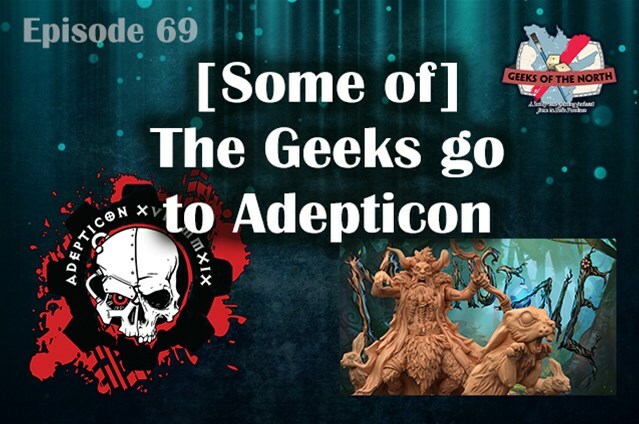 This week on the dial we have: Game Classy Episode 185: Aderpticon 2019; Geeks of the North Episode 69: [Some of] The Geeks go to Adepticon; Epic Gaming Night Podcast Episode 193: Factions! ; Epic Gaming Night Podcast Episode 194: Catching Up; Chance of Gaming Episode 28; Tabletop Talk Episode 14: Viktoria Chambers (Outcasts) in Malifaux 3rd Edition; Tabletop Talk Episode 15: Why Craig (and you) Should be Playing Wild West Exodus; Drive Thru FM Episode 24: Golden Age of Miniature Gaming; The Polyhedron Collider Cast Episode 59: Hanamikoji, High Society and Dinosaur Island; Singled Out Episode 86: Talking Wave 2 Season 4 Captains with Jamie Perkins; Blue Peg, Pink Peg Episode 144: Treasure Island; and The Secret Cabal Episode 180: Wingspan, The Pursuit of Happiness and Our Favorite Game Designers. Tuesday. We've gotten a good foothold into the week, and it's time to progress forward back to the weekend. To help with that, let's get some gaming podcasts up in our ears. I find it makes the time go by faster. Today on the dial we have: The Secret Cabal Express Episode 47: Finding the Fun in a Game That’s Not So Great; Chance of Gaming Episode 27; Tabletop Talk Episode 12: Charles Hoffman (Guild) in Malifaux 3rd Edition; Tabletop Talk Episode 13: Why Craig (and you) Should be Playing Star Wars Legion; Meeples & Miniatures Episode 264: Solo and Cooperative Gaming; Singled Out Episode 85: Talking Season 4 Alchemists; The D6 Generation Pip Episode 15: Battletech Beginer Box...it's so much more; The D6 Generation Pip Episode 16: Adepticon 2019, Extra Life, & A Song of Ice & Fire; and Epic Gaming Night Podcast Episode 192: Top 10 Combat Mechanisms! With any luck, we can make time go by faster by listening to some gaming podcasts. And yes, Tabletop Talk posted like mad this week. Let's get into it. On the dial this week we have: Morrus' Unofficial Tabletop RPG Talk Episode 40: The Sinister Secret of Saltmarsh! ; Tabletop Talk Episode 9: Nellie Cochran (Guild) in Malifaux 3rd Edition; Tabletop Talk Episode 10: Shenlong (Ten Thunders) in Malifaux 3rd Edition; Tabletop Talk Episode 11: Craig's First M3e Game! Molly v Ramos; Epic Gaming Night Podcast Episode 191: Dice Tower West! 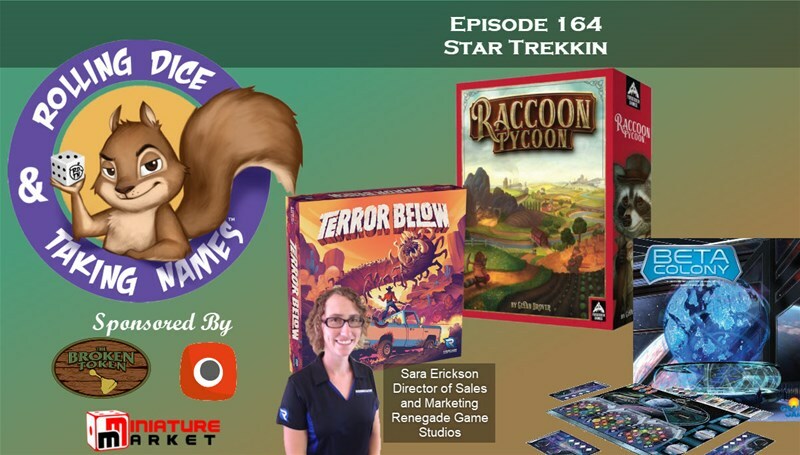 ; Rolling Dice & Taking Names Episode 167: Call to Adventure, Crisis, Roll For The Galaxy:Rivalry, Camel Up, Istanbul App; and The Secret Cabal Episode 179: Vindication, Rising Sun and a Short Topic Extravaganza. Tuesday. I don't know about you, but my Monday went by super-fast. Mostly because it was crazy busy. As will today be. And likely tomorrow, too. So, while I busily type my fingertips off, I'll be listening to some gaming podcasts along with it. This week on the dial we have: All Us Geeks Episode 82: The Geeks Do Battle For Rokugan; The Polyhedron Collider Cast Episode 58: Kingdom Rush, Villianous, Space Base; 40K Radio Episode 39: Dave Taylor Returns! ; Anonymous Tabletop Episode 31: What a Load of Crap; Chance of Gaming Episode 26; Meeples & Miniatures Episode 263: Warhammer Underworlds; Blue Peg, Pink Peg Episode 14:3Forum Trajanum; Lords of the Dungeon 25: Dungeons and Dragons Campaign Update and The Opening Announce Game Show; Tabletop Talk Episode 8: Yan Lo (Ten Thunders) in Malifaux 3rd Edition; and Geeks of the North Episode 67: Garbage, hobby and news. Tuesday. The work week's well underway. We made it through Monday. We can make it through the rest of it. But, with as far as Friday seems, it might feel like we'll never get there. Perhaps some gaming podcasts will help cut through the long hours. 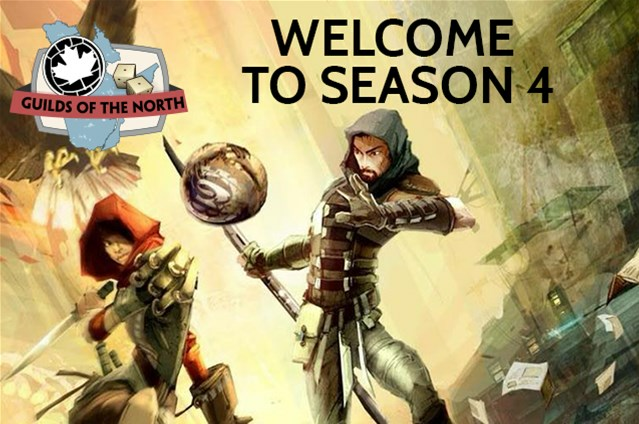 This week on the dial we have: Guild Ball Tonight Episode 91: Technically Correct; The Secret Cabal Episode 178: Shadows of Brimstone, Empires of the Void 2 and A Short Topic Extravaganza; Nerdherders Episode 32 (122): Nerdherders Winter Retreat 2019; 40K Radio Episode 38: Preview Love from the LVO; Rolling Dice & Taking Names Episode 166: Unmatched, Restoration Games Interview, Tudor, Kapow, Combo Fighter, Kickstarters; and Geeks of the North Episode 66: Basement casting. It's Tuesday, so we've got the work-week well underway. ... ... ... Is it the weekend yet? No? Damn. Well, maybe if we listen to some gaming podcasts, the week will go by quickly and we can get back to the weekend quickly. 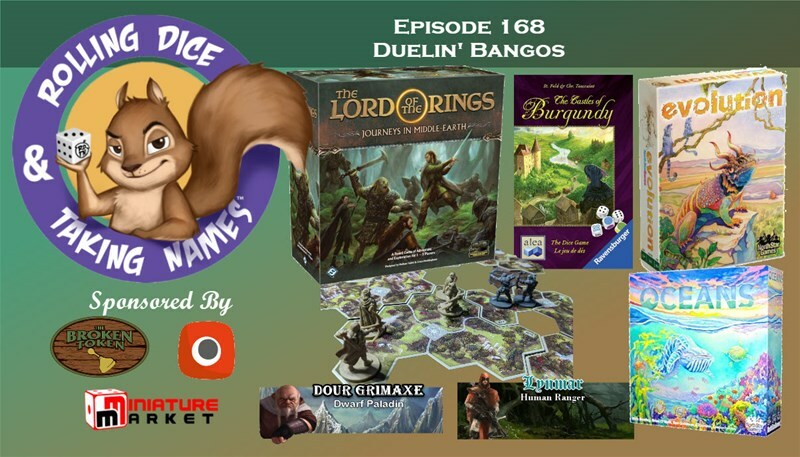 This week on the dial we have: Guilds of the North Episode 16: Nerf Bat & Rat King; The D6 Generation Pip 14: Achievements In Gaming Feb 2019; Meeples & Miniatures Episode 262: Rangers of Shadow Deep; Singled Out Episode 83: Talking Season 4 Errata With Bryce; Singled Out Episode 84: Talking New Season 4 Captains with Mat Hart, Sherwin and Jamie Perkins; Drive Thru FM Episode 23: Top 10 Favorite Gaming Media; Epic Gaming Night Podcast Episode 190: Blinged Out! 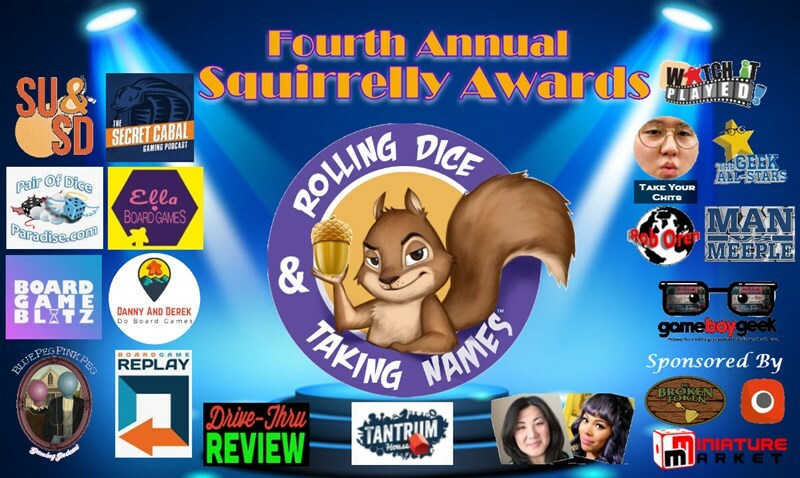 ; Rolling Dice & Taking Names Episode 165: Fourth Annual Squirrelly Awards; Blue Peg, Pink Peg Episode 142: Teotihuacan: City of Gods; and The Secret Cabal Express Episode 46: Board Game X-Factor with Dan King The Game Boy Geek. Hello, Tuesday. It's shaping up to be a busy week, which means that hopefully it'll go by quick. So as I work on gaming stuff, let's also listen to some gaming stuff with some podcasts. 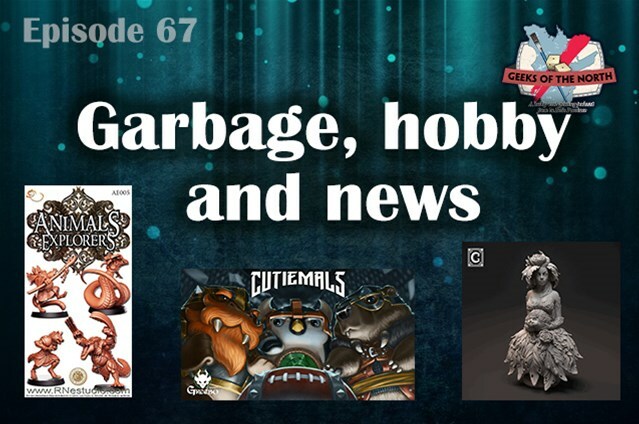 On the dial this week we have: Game Classy Podcast episode 182: Another failed Kickstarter; The Polyhedron Collider Cast Episode 57: Pulsar 2849, Zoocracy, Tiny Towns and a lot more Root; Epic Gaming Night Podcast Episode 189: Top 5 Movies/Tv Shows/Video Games That Need a Board Game; Exploding Dice Radio Episode 12; The Secret Cabal Episode 177: Wendake, Gaslands and Player Interaction; The D6 Generation Pip 13: Captain Con 2019 Event Report; and Geeks of the North Episode 65: Ramblisode. My week's shaping up to be another rough one, so we'll see how it goes. Hopefully it can go by quickly enough. I know listening to some gaming podcasts will help with that (in-between some Meshuggah and Infant Annihilator, that is). 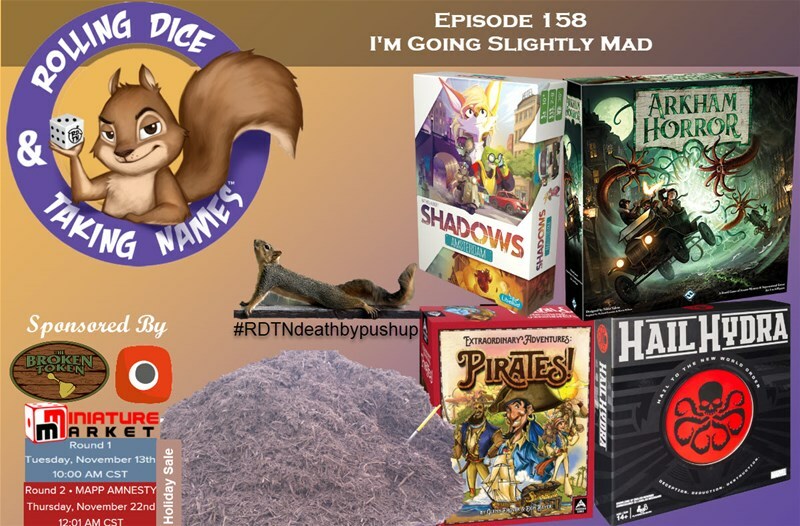 This week on the dial we have: Guilds of the North Episode 15: CaptainCon Adventures; New Board Game Podcast - Victory Points: A boardgame pod with Becca Scott; Chance of Gaming Episode 25; 40K Radio Episode 37: Siege Studios Interview; Meeples & Miniatures Episode 261: Corps Blimey! 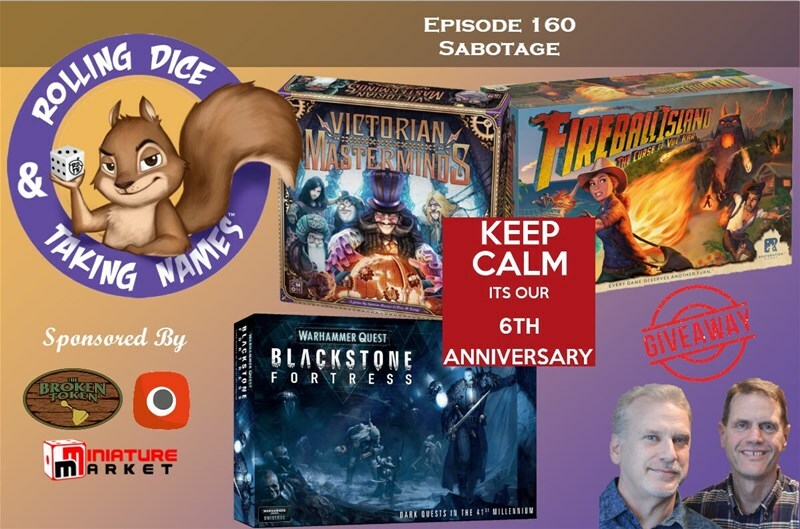 ; Epic Gaming Night Podcast Episode 188: 3D Printed Table Top with Daniel Herrero; The Offline Gamer Podcast Episode 37: The 2018 Kickstarter Awards; Rolling Dice & Taking Names Episode 164: Raccoon Tycoon, Beta Colony, Terror Below; Blue Peg, Pink Peg Episode 141: Gugong; and Lords of the Dungeon 24: Art and Arcana, Scheduling, Online Roleplaying and Murder Hobos. We've made it to Tuesday. The work week's well underway. I hope yours is going well. Mine's certainly been busy enough so far. But that's how things work. Makes for fast days at the office. Something else that helps is listening to some gaming podcasts. Today on the dial we have: Geeks of the North Episode 63: Kill all the teams; Epic Gaming Night Podcast Episode 186: Underused; The Secret Cabal Episode 176: Dinogenics, Merlin and a Short Topic Extravaganza; Game Classy Episode 181: Not Live from the LVO; and The Polyhedron Collider Cast Episode 56: Root, Folded Space and the Board Game Bubble. I mean, it's Tuesday. Not really a ton to say about it. The week continues on. On the dial this week we have: Geeks of the North Episode 62: Blood in the arena; Chance of Gaming Episode 124; Blue Peg, Pink Peg Episode 140: Party Game Suite with Bruce Voge; Rolling Dice & Taking Names Episode 163: Everdell, Stephen Buonocore, Tantrum House; Meeples & Miniatures Episode 260: Happy One Hundred WSS; Singled Out Episode 82: Season 4 Tournament Roundup; Nerdherders Episode 31 (121): Don’t Cross the Streams; and 40K Radio Episode 36: Rampant Speculation. It's Tuesday, and as far as everyone in Atlanta is concerned, the world is coming to an end. They're predicting some snow, so, of course, everyone is loosing their stinkin' minds. Looking at the forecast, I'm not at all concerned with it. I'm more concerned with people here acting a fool because of what they think might happen, instead of what's actually happening. But anyway, we still have our podcasts to post up, whether you're at home having your bread-milk sandwiches or actually know what to do when driving out there. 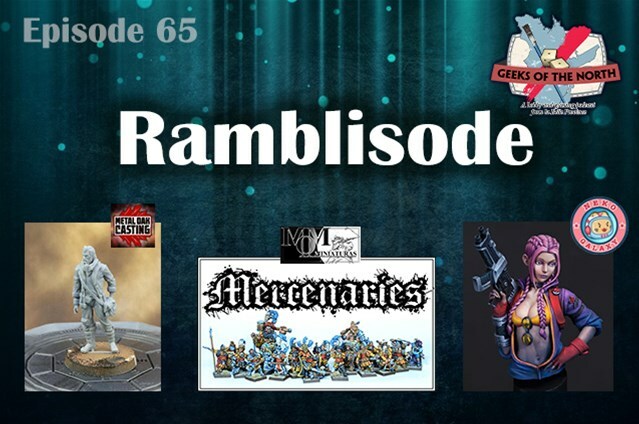 This week on the dial we have: Game Classy 180: Return of Warmachine?! 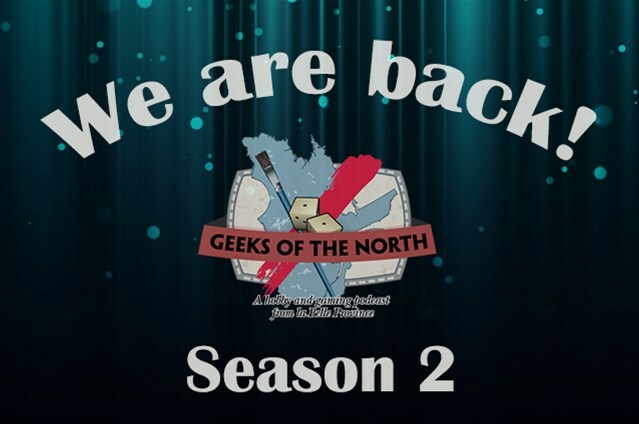 ; Geeks of the North Episode 61: Hobbysode; The Polyhedron Collider Cast Episode 55: Between Two Dice Hospitals of Mad Detective Ludwig; Drive Thru FM Episode 22: Top 15 Anticipated Games for 2019; Chance of Gaming Episode 123; Anonymous Tabletop Episode 30: Lizards and Lookbacks; Epic Gaming Night Podcast Episode 187: What we want in a Kickstarter; Blue Peg, Pink Peg Bonus Episode: Designer Deep Dive- Comanauts with Jerry Hawthorne; and The Secret Cabal Express Episode 45: Movies and TV Shows We’re Excited About. I love having Mondays off a lot more than Fridays off. You might be thinking "a 3-day weekend is a 3-day weekend. What's the difference?" The difference is that, with Monday off, when you get back to work, you're already closer to the next weekend. *taps side of forehead* Always thinkin'. Something that'll also help the week go by is listening to some gaming podcasts. 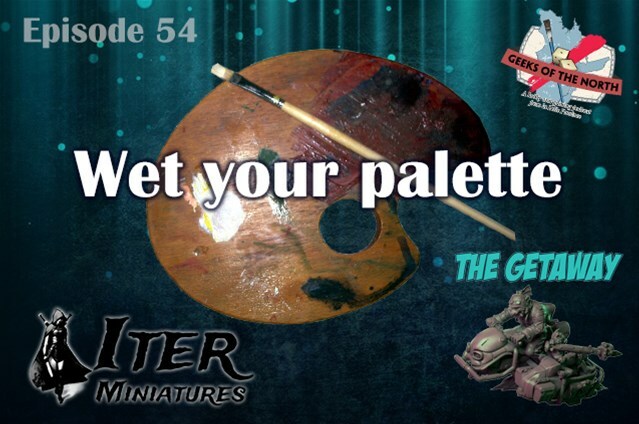 This week on the dial we have: Geeks of the North Episode 60: What colour was that? 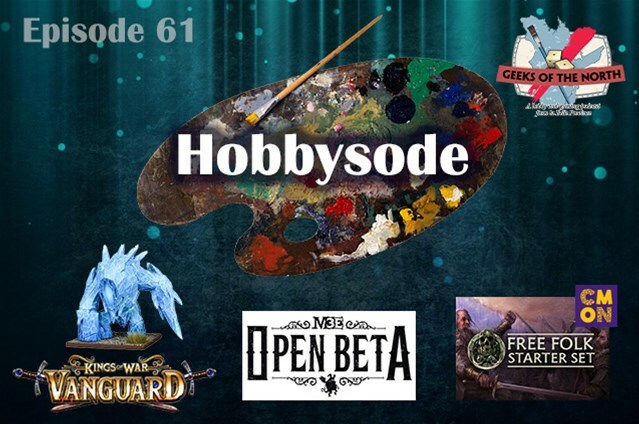 ; The Secret Cabal Episode 175: Nemesis, The Expanse and Our Hopes and Predictions for 2019; 40K Radio Episode 35: Vigilus Open Day; The Scholarly Warrior Episode 6; Meeples & Miniatures Episode 259: Crusade & Mega-gaming; Blue Peg, Pink Peg Episode 139: The Quacks of Quedlinburg; and Rolling Dice & Taking Names Episode 162: Too Many Bones-Undertow, Master of Wills, Kitchen Rush, GoT Expansion, Quiver. I mean... what more is there to say, really? Except we're already halfway through January. First month of the year's going by pretty quick. Let's hope the week follows suit and we can get back to the weekend. Some gaming podcasts might help that along. 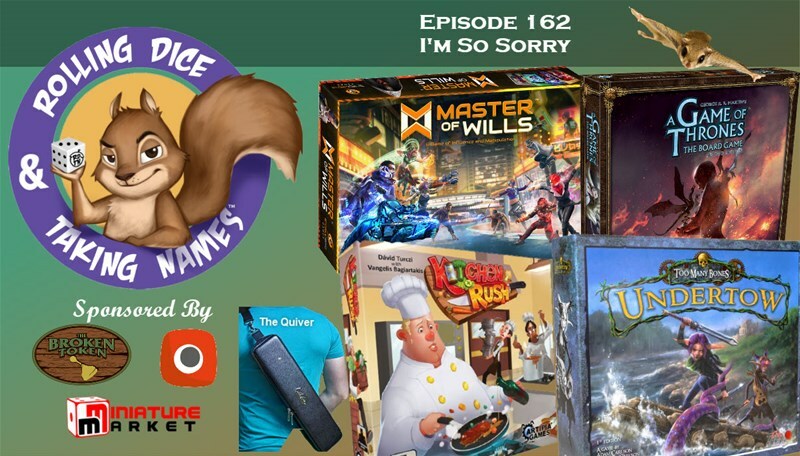 Today on the dial we have: Game Classy Episode 179: Wiffrip; Geeks of the North Episode 59: When games die…; The Polyhedron Collider Cast Episode 54: The Game We are Looking Forward to in 2019; Epic Gaming Night Podcast Episode 185: Anticipated of 2019; Singled Out Episode 81: Talking Season 4 Farmers with Dominic Westerland; The Offline Gamer Episode 36: Looking Towards 2019; and Lords of the Dungeon 23: Feel Bad Moments and Flaws and Hindrances in Your Character. Tuesday of the first full week back to the office after vacation. ... I know I'm more-than ready to get back to the weekend. To help speed things along, lets put on some gaming podcasts. Today on the dial we have: Chance of Gaming Episode 122; Nerdherders Episode 30 (120): The 2018 Year End Spectacular; The Secret Cabal Express 44: The Joy of the Miniatures Hobby; Blue Peg, Pink Peg Episode 138: Blackout: Hong Kong & 2019 Resolutions & Predictions; Rolling Dice & Taking Names Episode 161: Pandemic-Fall of Rome, Black Orchestra, Scorpius Freighter; Epic Gaming Night Episode:181 Demoing Games! 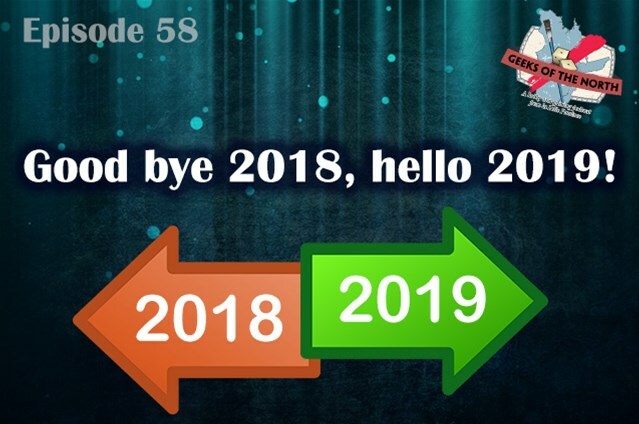 ; and Geeks of the North Episode 58: Good bye 2018, hello 2019! Yeah, apparently, I got nothin'. So let's just get to the podcasts. Today on the dial we have : The Secret Cabal Episode 172: Arkham Horror 3rd Edition, Betrayal at Baldur’s Gate and The Founder’s Guide to Knowing How To Act Right; Rolling Dice & Taking Names Episode 160: Fireball Island, Victorian Masterminds, Blackstone Fortress; Singled Out Episode 79: Designing Entertainers with Sherwin and Russ; The Polyhedron Collider Cast Episode 52: Deep Sea Adventure, Detective and Dungeons And Dragons; and Geeks of the North Episode 56: To 54mm and beyond. Tuesday. The work week's well underway. Time to really put our heads down and power through, get to the middle, then end of the week, and get on to some gaming. Something that helps is some gaming podcasts to listen to. 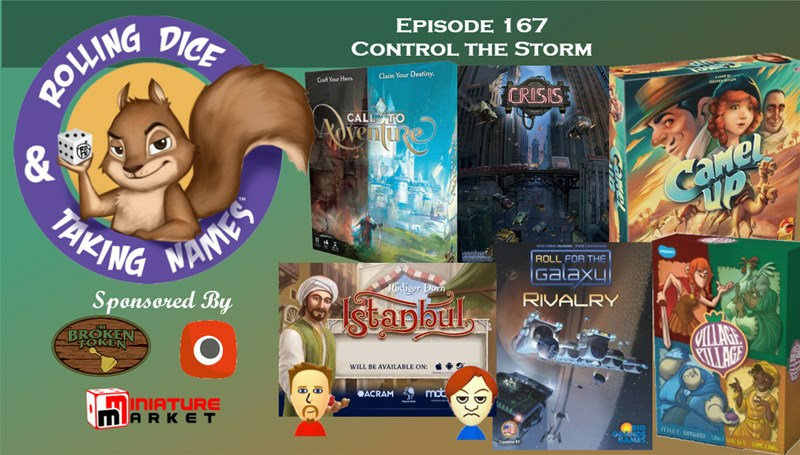 This week on the dial we have: Game Classy Episode 176: Tears in Rain; Meeples & Miniatures Episode 256: View from a Twisted Pinnacle; The Offline Gamer Episode 35: EGX 2018; Rolling Dice & Taking Names Episode 159: Brass, Newton, BGG Con; The D6 Generation Pip 8: Achievements in Gaming Nov 2018; Blue Peg, Pink Peg Episode 136: David Waybright & Pulsar 2849; The Secret Cabal Express 43: BGGcon 2018 and DIY Tabletop Gaming Accessories; and Geeks of the North Episode 55: It’s Judgement time!. A cold and blustery Monday has turned into a colder and blusterier (sure, we'll say that's a word, why not?) Tuesday. Makes me glad I got all my extra blankets out over the weekend. Seems Nature went, "Thanksgiving's over. Winter now!" It's a good time to curl up next to the fireplace with a cup of hot cocoa and listen to the radio... gaming podcasts on the radio, of course. 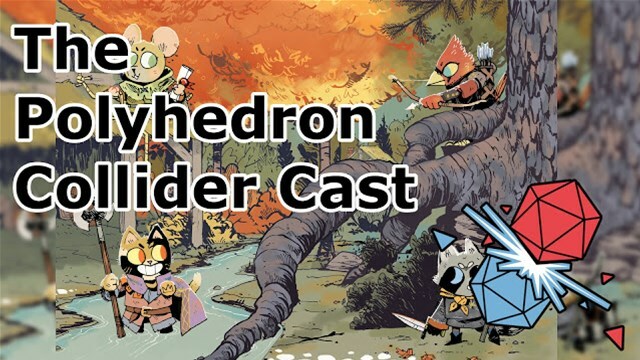 This week we have: The Polyhedron Collider Cast Episode 51: Dinosaur Island and Ravage: Dungeons of Plunder; Chance of Gaming Episode 119; Drive Thru FM Episode 21: BGG.CON 2018; The Secret Cabal Episode 171: Cerebria The Inside World, Yokohama and a Short Topic Extravaganza; Epic Gaming Night Episode 180: Holiday Giving top 5! ; Singled Out Episode 78: Steamcon 2018 and Season 4 Trends; Geeks of the North Episode 54: Wet Your Palette; and Guilds of the North Episode 13: New England Team Tournament. It's Tuesday. But it's also kinda like Wednesday, because it's the middle of the work week. But it's also kinda like Thursday, because it's the 2nd-to-last day of the work week. But since I'm typing up a Podcast Radio post, that means it's Tuesday. Let's get to it. This week on the dial we have: Game Classy Episode 175: GeeDubb roundup; Meeples & Miniatures Episode 255: Tales of Tabletop Gaming #1; Blue Peg, Pink Peg Episode 135: James Hudson & Porta Nigra; Lords of the Dungeon Episode 21: RPG Sports, GM vs Player Description and Playing Your Alignment; Rolling Dice & Taking Names Episode 158: Arkham Horror, Shadows:Amsterdam, Hail Hydra; and Epic Gaming Night Podcast Episode 179: Choices. Regularly scheduled posting will be back soon, I promise. We appreciate your understanding during this bit of a rough patch. But the resolution is in sight, and we'll get everything back rolling ASAP. And while I handle various whatnots associated with it, I'm gonna crank some gaming podcasts to help me think of nerdy stuff. 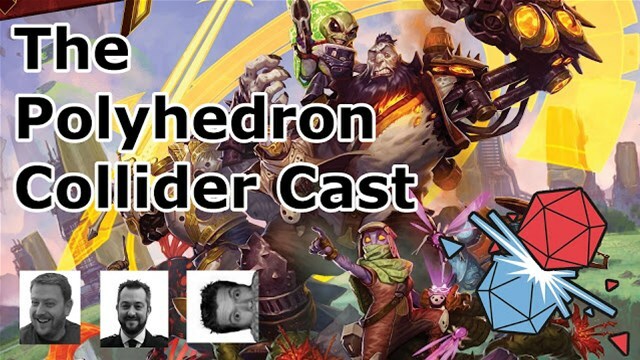 This week on the dial we have: The Polyhedron Collider Cast Episode 50: Arkham Horror 3rd ed, Deep Madness and Monolith Arena; Chance of Gaming Episode 118; Epic Gaming Night Episode 178: Events & Encounters! 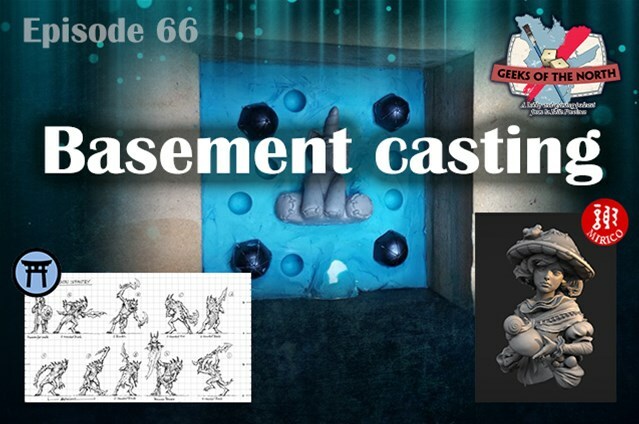 ; The Secret Cabal Episode 170: Blitz Bowl and Blood Bowl Comparison, The Thing Infection at Outpost 31 and Gimmicks in Board Games; Dungeon Masters Ludus Episode 08: Running Horror Adventures; The Offline Gamer Episode 34: Essen Spiel 2018; and Blue Peg, Pink Peg Episode 134: Essen 2018 & Feudum. Tuesday, and the work week is underway. Mine's shaping up to be rather busy with various things going on. Hopefully, that'll make it go by quickly. Another thing that helps is listening to some gaming podcasts while I work. 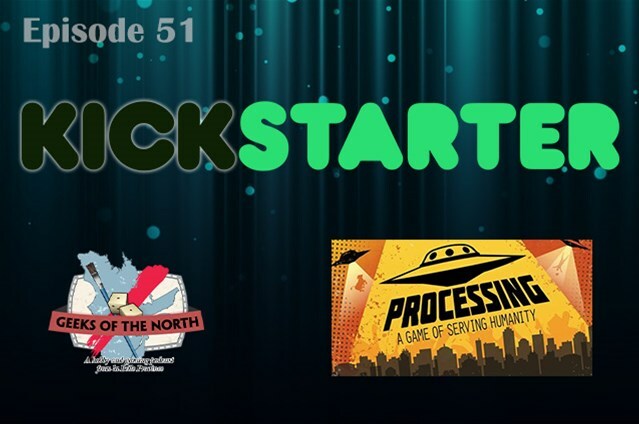 Today on the dial we have: Geeks of the North Episode 51: Kickstarter; Chance of Gaming Episode 117; Breathing Flames Episode 13: Power to the Player; Anonymous Tabletop Episode 28: Do You Want to Play a Game? ; and Epic Gaming Night Podcast Episode 175: Werewolf Legacy! It's... there. I mean, it's hard to hate it, as it's not really the start of the week. All of that loathing goes to Monday. But there's not much else going on with it. It's not the middle of the week, really. It's just... Tuesday. I know Arthur could never really get a handle on Thursdays, but I think Tuesdays are the ones I have the toughest time with. Better listen to some gaming podcasts. 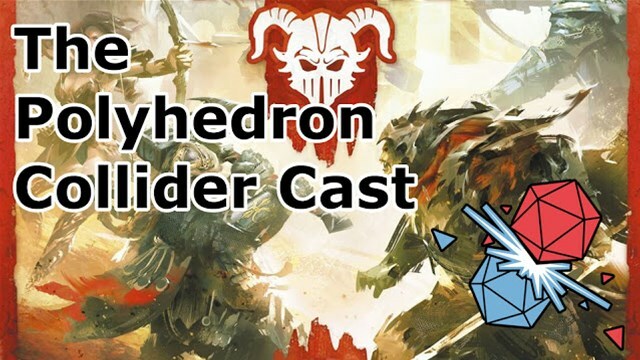 Today on the dial we have: Game Classy Episode 173: We're Back; The Polyhedron Collider Cast Episode 49 - Essen 2018 preview; Drive Thru FM Episode 20: Top 10 Anticipated Essen 2018 Games; Mantic Radio Episode 14; Blue Peg, Pink Peg Episode 133: The Thing: Infection at Outpost 31; The Secret Cabal Episode 169: Eschaton, Folklore the Affliction and a Short Topic Extravaganza; Rolling Dice & Taking Names Episode 156: Igancy, Monolith Arena, Imperial Settlers Amazons; Singled Out Episode 76: Talking Season 4 Union with Jason Mountain; Geeks of the North Episode 50: Hobby rooms; and Guilds of the North Episode 12: Welcome to Season 4. Tuesday. It's a weird kinda day. I mean, it's still the start of the week. But it's not the very start. The weekend's just that little bit closer, but only a little bit. I dunno. I'm in a weird mood as I post this. Ready for weekend, I suppose. Not wanting to wait. Well, listening to some gaming podcasts will help kill some time. This week on the dial we have: Meeples & Miniatures Episode 253: Adeptus Titanicus; Rolling Dice & Taking Names Episode 155: Tabletop Showcase – Martin Wallace; Lords of the Dungeon 20: DnD Beyond Look Back, Our Favorite Monsters and The GM and Player Arms Race; Epic Gaming Night Podcast Episode 174: Innovation in Gaming! ; Man Battlestations Episode 35; and Geeks of the North Episode 49: Gamer ADD. The week is underway again. Monday's gone and Tuesday is upon us. Let's see what we can do in order to speed it back up to the weekend. I like to employ podcasts to help the time go by. 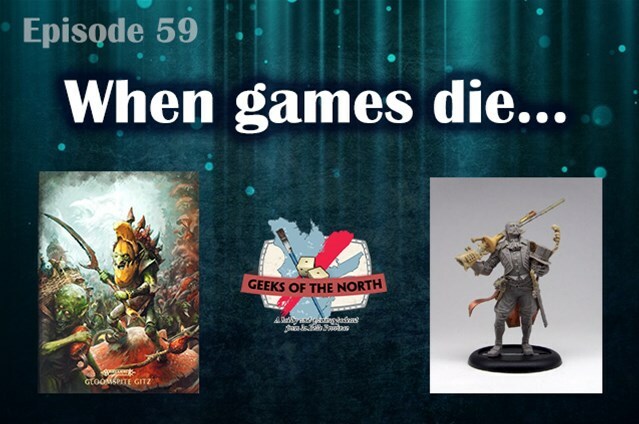 Today on the dial we have: Geeks of the North Episode 48: 40k Kill Team first impression; Chance of Gaming Episode 116; Epic Gaming Night Podcast Episode 172: Mark Streed; Blue Peg, Pink Peg Episode 132: SubTerra & Nyctophobia; 40K Radio Episode 32: Talkin’ Titanicus; and The Polyhedron Collider Cast Episode 48: Keyforge, Trapwords and Monumental. Today on the dial we have: Chance of Gaming Episode 115; Rolling Dice & Taking Names Episode 153: Cryptid, Taj Mahal, and Gizmos with special guest, David Waybright; The Cardboard Herald Episode 97: Andy "The Game Maker" Mazeika, with guest host Andrew Birkett; Blue Peg, Pink Peg episode 131: Detective; The Secret Cabal Episode 167: War Chest, Massive Darkness and A Short Topic Extravaganza; and Geeks of the North Episode 46: Season 2: We are back!